1 – Being mugged – Don’t dress like a tourist. The advice is to avoid wearing new and/or expensive items of clothing, especially footwear and bags by well-known brands. Also avoid accessories such as hats and bags with tour operator logos on. Looking lost with a map in your hand is also a sure-fire way of attracting unwanted attention from local opportunists! 2 – Tummy upsets – Check that the tap water is safe before you travel, but bear in mind that other countries may treat water with alternative chemicals that could still cause upset in the young, elderly or sensitive. When buying bottled water, always make sure the cap is still attached to the ring. Many travellers avoid salads abroad, and some people find that meat and seafood dishes are more likely to give them a bad tummy. 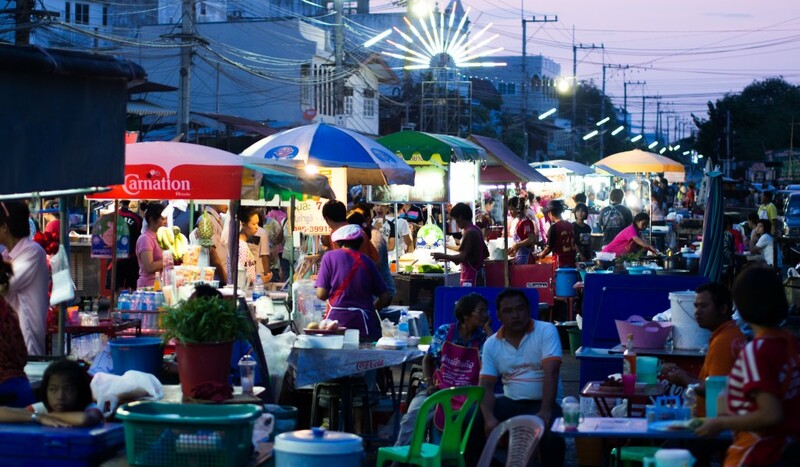 Vegetarian dishes and reputable eateries are the safest option in many places. Trying out food from markets can be a great way to sample the local delicacies – but stick to vegetarian food to minimise your chances of it disagreeing with you! 3 – Losing important documents – Make copies of passport, tickets, hotel information, travel insurance documents, driving licence etc. in case any of your belongings get stolen. Make sure you keep them separate from the real documents, many travellers choose to scan their items and email them to a trusted friend or relative so they can be easily retrieved. 4 – Getting injured – Be extra aware of your surroundings as health and safety requirements are often not as stringent abroad as they are in the UK. Slippery poolsides, loose balcony railings and walkways in need of repair can all catch an unaware tourist out, and lead to serious injuries. 5 – Road accidents – Always wear a helmet if hiring a moped, even if the local laws say you don’t have to. Many tourists are fatally injured every year from neglecting such an important safety issue. Also be aware of the rules of the road at your destination, you should know them as well as you do the UK Highway Code! 6 – Dodgy tour operators – Only ever go on an excursion, tour or take part in a sports activity from a reputable provider. Ask at the local tourist office, or at hotel reception. Many resorts and travel agencies have their own itinerary to choose from. Disreputable providers may not have your safety as a priority, and they may lack insurance cover should the worst happen. 7 – Falling ill – Check the vaccination requirements of your destination well ahead of your holiday. Some destinations require a course of jabs over a number of weeks. Also find out ahead of your holiday where you go for medical advice and treatment should you become ill. Remember that even in the EU with an EHIC card, you could still be billed for treatment, and will be billed for repatriation. As such, make sure you get travel insurance before you leave! 8 – Getting arrested – Check Gov.UK for the travel advice for your destination. It will have a section on local laws and customs. It is important to know what might cause offense, as in some countries this could lead to being thrown in jail. Actions that break the law also vary from country to country, and what might be fine here, may be very bad somewhere else. 9 – Natural disasters – First find out if the place you are travelling to is a high risk area for earthquakes, floods, volcanic eruptions or avalanches, and then find out what to do in the event of a natural disaster. Ensure that you speak with your travel operator or hotel receptionist for information about evacuation procedures. 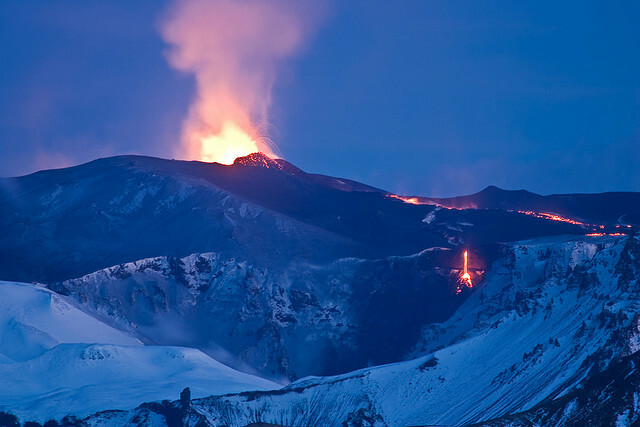 The Icelandic Volcano Eyjafjallajökull erupted in 2010, causing mass disruption to flights throughout Northern Europe. 10 – War, terrorism and violent outbreaks – Ask yourself if you really need to travel. If war or political unrest has broken out at your holiday destination, it might be wise to change your travel plans, you should be covered by your travel insurance. However, if you are a volunteer or your work is taking you to hostile areas, you should make sure you speak to whoever is organising your trip to find out what safety precautions you need to take. Once again Gov.UK is the go-to resource for the latest information on threats of violence. Even if your holiday is affected by illness, accident, theft, in fact, any of the above… with adequate travel insurance, you can turn to someone for help. 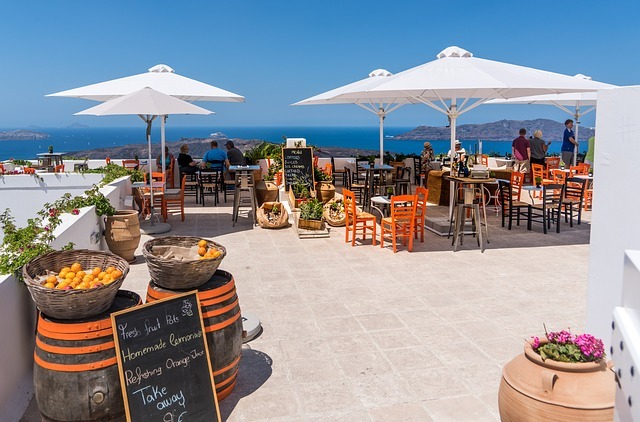 Why not give one of our advisors a call today on 01892 628584 to find out how we can help you stay safe on your holiday abroad or visit worldwideinsure.com for an instant online quote. This entry was posted in Medical Conditions, Travel Advice, Travel Insurance on August 7, 2014 by worldwideinsure. Going on holiday can wreak havoc with routine – great if you are looking to ‘get away from it all’, but not so great if you need to make sure you continue to take prescription medication at your usual time. 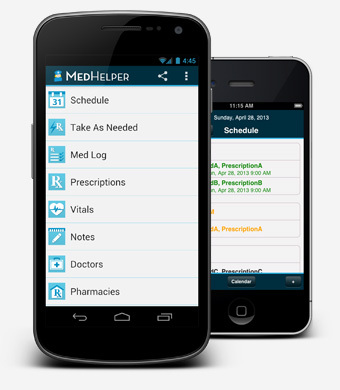 Med Helper is an app that offers extra value by helping you keep track of what you have taken, and when, perfect when you are in a whole new time zone! What does Med Helper do? What makes it good for travelling with a medical condition? In our last blog Taking Medication through Customs – Advice for Travelling with a Medical Condition, there were a number of recommendations to take information about your medication – this app has features that make keeping that information close by easy. Amongst its many features, Med Helper also stores doctor and pharmacy information, dosage history, allows you to track vitals (such as pulse, weight, HbA1c, glucose, oxygen, blood pressure etc.) to manage symptoms and it has an exportable and printable reports feature. Other users include words such as Awesome, Brilliant, Simple, Helpful and Lifesaving in their reviews. Overall this app scores 4.3 out of 5 on Google Play. Unfortunately, the app has not had enough reviews on iTunes to be able to show a rating, but if the Android feedback is anything to go by, it is certainly worth giving it a go. This entry was posted in Medical Conditions, Safety when travelling, Travel Advice, travel apps on June 5, 2014 by worldwideinsure.